There have been so many daring “selfies” (an act of taking a picture of yourself with a digital camera or a phone camera) and sometimes, there are those who are considered a ‘wins’ and there are those which are just extreme ‘fails’. No ‘fail’ could par up, however, with the 21-year-old who allegedly died after taking a selfie. 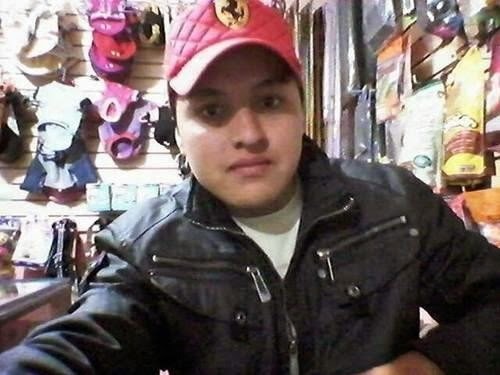 Oscar Otero Aguilar was described as a “selfie obsessed” Mexican man. According to reports, he was supposed to take a daring picture of himself to be posted on Facebook by posing with a gun pointing at his forehead. It was then that the firearm accidentally went off and got hit in the head. What was supposed to be a simple round of drinks with friends became a horrible accident. Manfredo Paez, a neighbor, told the local media that he heard a gunshot, and then heard a scream. "I heard a gunshot, and then I heard somebody screaming and realized somebody had been hurt. I called the police and when they arrived they found that he was still alive," he narrated. The police had found a .45 caliber wooden-handled handgun in the Gustavo A. Madero borough of Mexico City, where the incident took place. The Ministry of Public Safety gave a statement that Aguilar was found dead at the scene. Moreover, Omar Abner Campos Vives, one of his friends was arrested and another friend of his, without a name but known as “El Paco” escaped and is still currently on the run. After further investigations, his death has been ruled as an accident. According to The New York Post, an autopsy will be conducted on Aguilar this week.